I was tested Hepatitis B positive, it has not been easy for me. I'm under medication recommended by my Doctor. ( Viread 245 mg) which I have to take every day. The medicine cost 294,34 Euros, which I have to pay every month, and treatment last for six months which will cost me 1,766 Euros. All I ask is your support to continue. 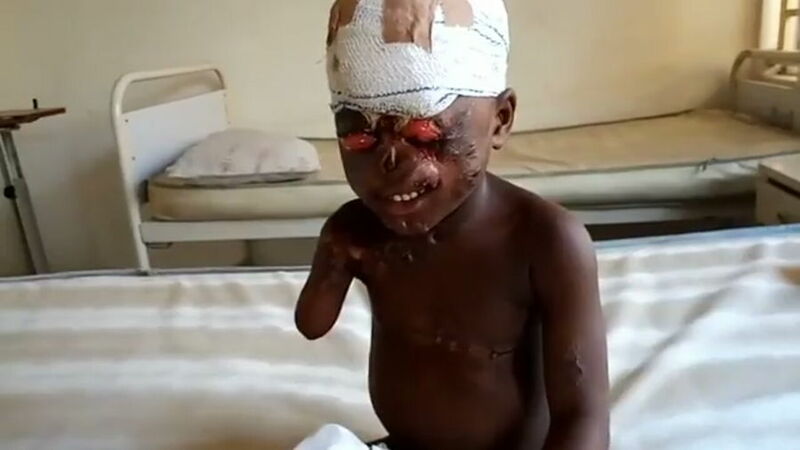 FANEN, THE THREE OLD BOY WHO FELL INTO A FIRE IS IN A BAD CONDITION AFFECTING HIS SIGHT: NEEDS 1,000€ TO UNDERGO SURGERY. You can send your donations through this Paypal account https://www.paypal.com/cgi-bin/webscr?cmd=_donations&business=HFNSWJJKMT6SQ&lc=GB&item_name=FANEN%2c%20THE%20THREE%20OLD%20BOY%20WHO%20FELL%20INTO%20A%20FIRE%20IS%20IN%20A%20BAD%20CONDITION%20AFFECTING%20HIS%20SIGHT%3a&no_note=0&cn=Add%20special%20instructions%20to%20the%20seller%3a&no_shipping=2¤cy_code=EUR&bn=PP%2dDonationsBF%3abtn_donateCC_LG%2egif%3aNonHosted Below is Fanen, the three year old boy who fell into a fire sometime september last year. He has had his arm and a finger on another hand amputated as a result of the fire accident. He has been in the hospital since last year September and has been doing well until this morning. He woke up today with his eyes popped out and he has been unable to see and feels quite uncomfortable The doctor says he needs to be taken to the theatre urgently for a surgery (skin grafting/eye) He explained that The little boy is having what they refer to in the medical field as "Contraptions" from the burn which has affected the eye that was hitherto normal. (I honestly do not understand what that means) Fanen needs 1,000€ to have this surgery urgently and he is counting on you beautiful people to help him. I appreciate each and everyone for your donations so far. Your various donations have kept the child going all these while. Thank you for always supporting me and for your good works to humanity through me. May God bless and reward you all.